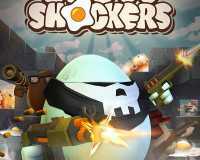 Shell Shockers 3 is a fun-filled .io game in which eggs get control with different weapons. In the game you must try to reach the highest score by killing your opponents. Don't forget to protect yourself from trying to break down rival eggs in this online game.